We have been working with our photographers on-location with a view to offering a regular impromptu photo service at key tourist locations. 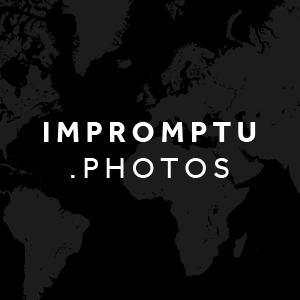 Photos are taken and uploaded where they can be viewed and shared across social networks for FREE. Options to download and turn photos into souvenirs are also available. 2. SMILE & HAVE FUN! we take your photos for FREE! next day to find your photos. There is no obligation to buy! If you need a photographer - whatever the need, just ask! Any of our photographers will be happy to help with your enquiry. Our Just Ask Photographers are so easy to spot... and very approachable! Let us provide you with the ultimate momentos of your trips! Our tourism and photo tour packages are created with you in mind. We provide the photographers, the tour guides (where required) and the online tools to ensure that you get the most out of your photos totally hassle-free. We also offer a range of optional souvenir products to turn your digital photos into very real momentos. Choose 1 or 2 featured locations of your trip and we will pop along and take natural photos as you enjoy your City. Squeeze in as many featured locations as you like - but bear in mind we provide photographers, not athletes! Make yourself comfortable as we take you on a taxi guided tour, stopping off and photographing all the locations that time allows! Whatever the occasion or event, Just Ask Photos can arrange the photographer service that is right for you. We take time to discuss your requirements and ensure that everything is just how you want it. Photos are edited and, once approved, can be either made fully accessible online or accessed in your own password-protected area. We also have a wide range of products that can be ordered to suit your exact requirements. Whether it be Christmas parties, private events or large-scale public events, Just Ask Photos can provide the photography expertise you require - be it a sole photographer or a posse of photographers. But it's not just about the service on the day. We provide a platform where your photos can be viewed and shared across social media with any additional marketing content with ease. And just as easily, we can can provide your company with a private online viewing area that is password protected. What ever your corporate needs, please get in touch.